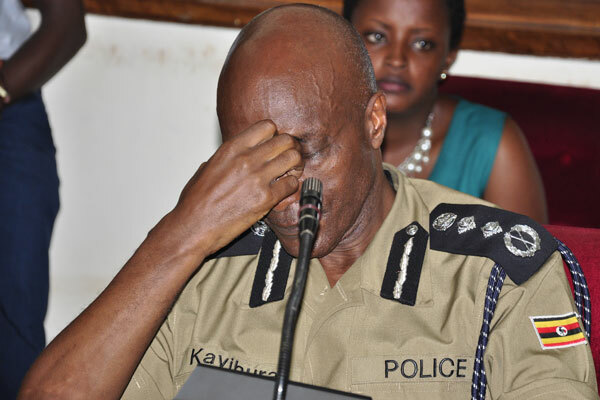 JUST IN: after reports that surrounded Social media in Uganda yesterday the army spokesperson has officially admitted and accepted that the former Police Force Commander General Edward Kale Kayihura Karekyezi is being detained at Mbuya army barracks. Flash Uganda Media can reliably confirm. Yesterday the army gathered and searched for Kayihura in Lyantonde and failed to get him as he had sneaked out of his farm home. Lucky enough, he’s phone was on. Now confirmed under detention, Gen. Kayihura is right now under interrogations at Mbuya army barracks headed by CDF, Gen. David Muhoozi. Others on the panel include deputy CDF, Counter Terrorism Director, Intelligence Director, and Police’s Representatives and lead Investigators in the charges he’s facing among others. Sources say his release on bond is unlike. This comes after romours that circulated allover social media that the former police boss was arrested in Lyantonde together with his assistants and lifted to Kololo for Interrogations. The Army spokesperson has also released a statement indicating that Kayihura is being interrogated at Mbuya army base.